A thrilling dance production based on William Golding’s classic novel. Adapted and directed by Matthew Bourne and Scott Ambler. Golding’s legendary characters are brought to life with raw energy, emotional intensity and breath-taking performances. 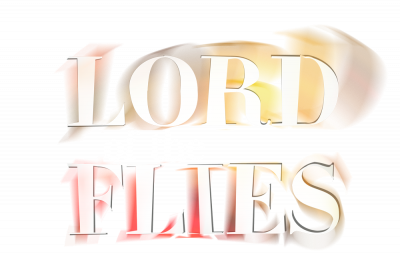 Chilling, beautiful and hugely entertaining, Lord of the Flies will enthral Bourne fans and inspire a generation of new audiences. Choreographed by Olivier Award-nominated Scott Ambler, set and costume design by Olivier Award-winner Lez Brotherston, music by Terry Davies, lighting design by Chris Davey, sound design by Paul Groothuis, adapted and directed by Olivier and Tony award-winner Matthew Bourne and Scott Ambler. The production was staged in Melbourne by Associate Artistic Director, Etta Murfitt and Resident Director, Alan Vincent. World Premiere: 2 March 2011 at Theatre Royal, Glasgow. Following the success of the production's premiere in 2011 Lord of the Flies embarked on a UK tour in 2014, which brought together a cast of New Adventures dancers and remarkable young talent from across the UK. We visited over 13 cities and engaged over 8,000 young people in dance activity – many for the first time – and delivered 80 performances to some 75,000 audience members. Following the success of our 2014 tour, the show had its international premiere at Arts Centre Melbourne, Australia in April 2017. New Adventures dancers were joined by a cast of six professional Australian dancers and young talent from across Victoria, Australia. After an extensive workshop and audition process, 23 boys from across Victoria, Australia were chosen to form the Young Ensemble of Matthew Bourne's adaptation of Lord of the Flies at Arts Centre Melbourne. Found predominantly through Arts Centre Melbourne's community outreach programme and open workshops that began in October 2016, the Young Ensemble included a boys and young men aged 10 - 25, with varying levels of dance experience - including some who had never danced before. They joined a cast of professional dancers from England and Australia, to perform in the show from 5 - 9 April 2017. Click here to read about the impact of our work in Melbourne almost two years on.